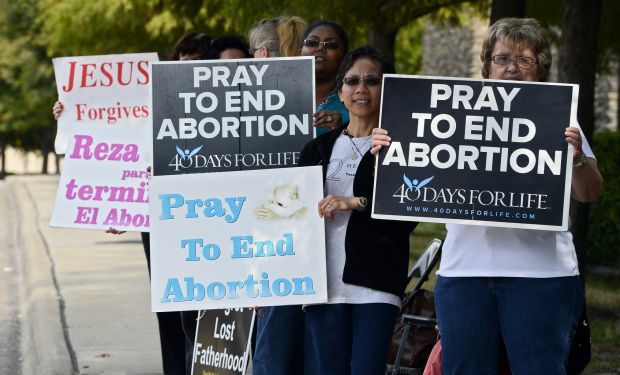 WASHINGTON (CNS) — The Supreme Court Oct. 14 blocked a Texas law that had meant all but seven of the state’s abortion clinics were closed because they failed to meet new standards. The block will remain in effect while the 5th U.S. Circuit Court of Appeals considers a legal challenge to the law itself. It will allow at least 12 clinics that were closed to reopen. In a brief order posted after normal business hours, the Supreme Court granted requests by some of the affected abortion clinics to block parts of the law. It blocked statewide the requirement that abortion clinics meet standards of an ambulatory surgical center, which a majority of the Texas abortion providers could not meet. For clinics in McAllen and El Paso only, the order also blocked a provision requiring abortion clinic doctors to have admitting privileges at hospitals within 30 miles of the clinic. The order noted that three justices “would deny the application in its entirety.” Those were Justices Antonin Scalia, Clarence Thomas and Samuel Alito. The order did not say which justices approved the stay, but it takes five to do so. Emily Horne, legislative associate at Texas Right to Life, told Catholic News Service that the Supreme Court stay is a “discouraging decision, but of course it’s not the final one.” The 5th Circuit has not yet scheduled arguments on the lawsuit challenging the provisions, and Horne said the court typically gives several weeks’ notice before argument dates. On Oct. 2, the 5th Circuit lifted a lower court’s injunction blocking the provisions from taking effect, saying there was a strong likelihood the legal challenge of the provisions would be successful. Horne said she’s also encouraged that other parts of the 2013 law have been allowed to take effect without challenge, including the admitting privileges requirement for clinics in all but two cities and a ban on abortions when a woman is five months pregnant, based on studies showing fetuses can feel pain at that stage. She said the latter provision has gone unchallenged and has been in place for a year.